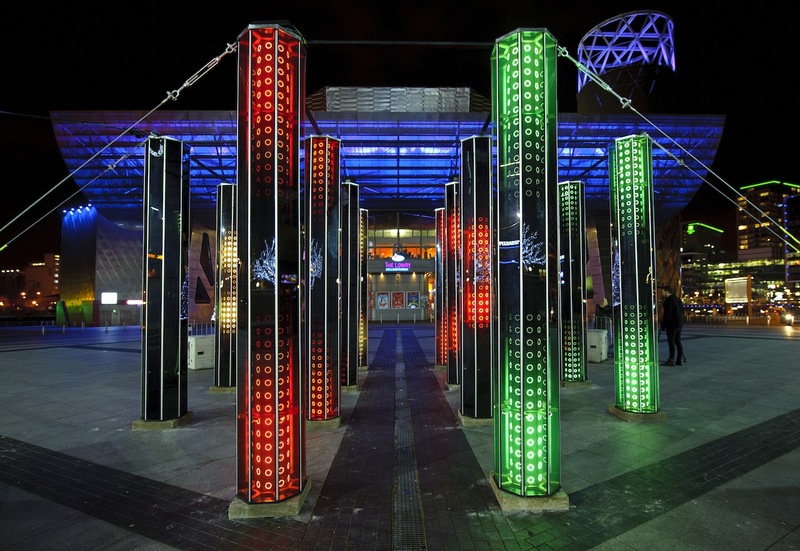 Lightwaves 2015 took over Salford Quays and MediaCityUK’s public spaces from 12-27 December with a free digital light festival for all to enjoy, celebrating UNESCO’s International Year Of Light (read our programme producer, Lucy Dusgate’s contribution to the IYOL2015 Blog). 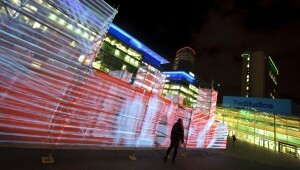 Featuring three major installations from international artists, as well as pop-up performances, make-your-own-artwork workshops, enlightening artist talks and an online performance, Lightwaves 2015 lit up the winter nights and saw over 360,000 visitors during the festival period. 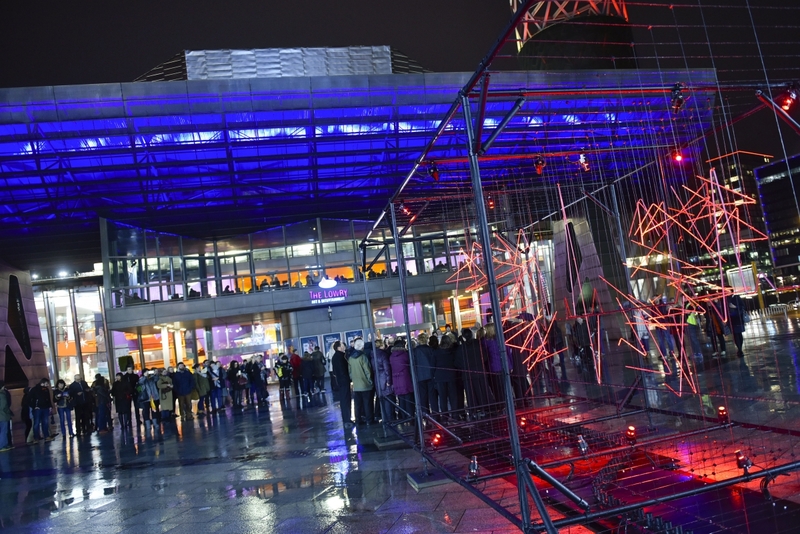 Lightwaves 2015 follows on from the success of Squidsoup’s Aeolian Light in December 2014, a Quays Culture commission that has since toured the world and was a finalist of the prestigious Lumen Prize 2015. 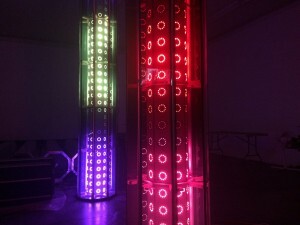 The Programme included Cathedral of Mirrors by Danish artist Mads Christensen, a brand new commission from Quays Culture, co-presented by University of Salford. 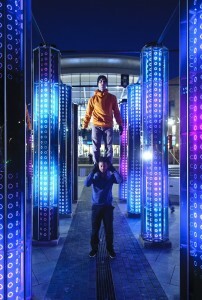 Consisting of 12 towering columns, Cathedral of Mirrors lit up in response to the movement of crowds. 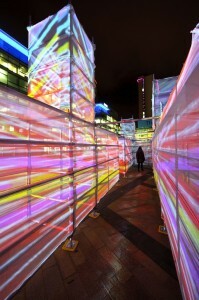 Marcos Zotes brought AMAZE to MediaCityUK’s Piazza; a towering psychedelic maze where magical moments, both private and collective, awaited those who entered. 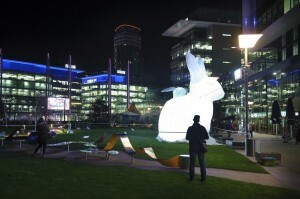 A family of giant, luminous bunny rabbits as part of Amanda Parer’s Intrude, took over the MediaCityUK Gardens, reminding us of the natural world, its fragility and our place within it. 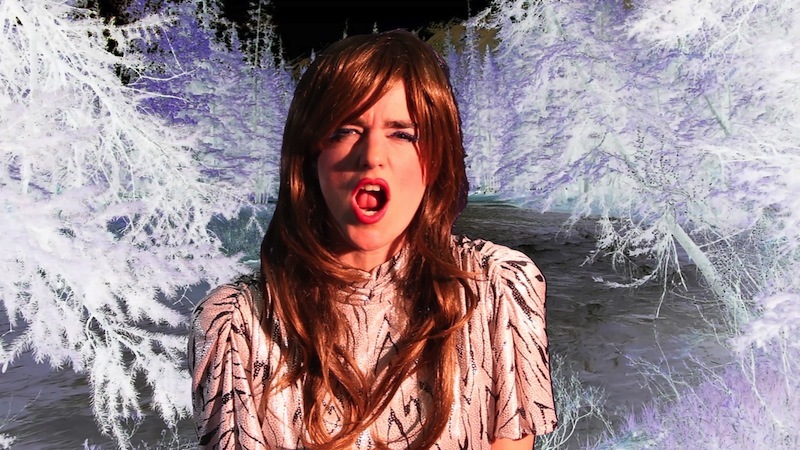 Sergina by Elly Clarke took the form of an online performance exploring networked culture’s effects on our sense of identity and relationships. Hosted online at www.quaysculture.com. 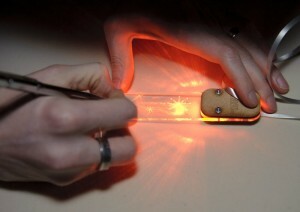 For more information about Sergina and the artist, visit www.ellyclarke.com. 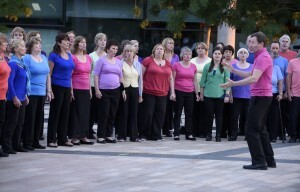 Special events during Lightwaves 2015 included dance performances from Company Chameleon and Allegiant Dance, music from Honour Choir and Scratchie Workshop with Stuart Childs.